ATLANTA–(GA NEWS ONLINE)–The Robert N. Susko Law Firm announces that in service to their clients, they have surpassed the 50 Million dollar mark in awarded settlements. 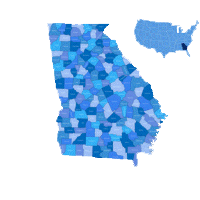 ATLANTA–(GA NEWS ONLINE)–The Milhollin Law Firm announces that they have moved into a NEW office location across from the Decatur County Court House at: 306 N. West Street, Bainbridge, GA 39817. In an interview today, Mark F. Milhollin was quoted as saying, “My wife Margueritte and I have met and gotten the know some of the wonderful people in and around Bainbridge, after a while the polite question surfaces. It usually takes more than one meeting or introduction, but I can see the look in their eyes from the outset. They have lived in Bainbridge for at least a long time, if not their whole lives, as generations have before them. They all wonder “Why?” – “Why Bainbridge?”. Sometimes I guess folks can’t see what is right in front of them, because they have been standing too close to it to focus on it and see the big picture. It’s the old “can’t see the forest for the leaves on the trees” adage. After having offices in Marietta and Kennesaw since 1992, my wife and I decided to move out of Metro Atlanta. Our children were grown and gone for the most part. We had both had more than enough of Atlanta traffic, where at times you can spend an hour and a half and not go 10 miles. My wife and I discussed escaping from Metro Atlanta, a lawyer friend in Albany, Robert Margeson, who I had done a few cases with, told us that Bainbridge would be a great place for us to live. I do personal injury cases and he said there was no one there who did only that type of law. I had been to Bainbridge many times, to duck hunt on Lake Seminole, and I knew the area and had met many fine people whenever I had been there. On faith, we started the roll the ball. It would be a slow process, as I had to downsize, finish up some courts cases and a trial or two. We would be moving both home and office, so it would be a logistical nightmare that we would be accomplishing day by day for months on end. Mark F. Milhollin, P.C.. represents people who have been caused injury due to the negligent or intentional acts of individuals and corporations. Clark Kent #84 of the Walton High School Raiders joins his teammate QB Addison Shoup #14 as two of Region 4 AAAAAAA (7A)’s most highly sought after recruits. Despite Walton’s struggles in this newly aligned Region 4, their prospects are good – with over 75% of their starters Sophomores. Experience this year against the best and most competitive football in Georgia, will (no doubt) prove to be a winning combination in the nest few years. Both Kent #84 and Shoup #14 have won “Player of the Week twice, Shoup for his outstanding running & passing and Kent for some consistent and spectacular “special teams” play. GEAUX TIGERS: Louisiana State has the most players on NFL Kickoff 2015 rosters with 40, the NFL announced today. Louisiana State also ranked first last year, with 38 players on Kickoff Weekend rosters. QB BREAKDOWN: Quarterbacks were in the spotlight once again on Kickoff Weekend and the NFL has now had at least one rookie quarterback start in Week 1 in eight consecutive seasons, the longest streak since at least 1950. THE TALL AND SHORT OF IT: On NFL Kickoff rosters, there were 256 players weighing under 200 pounds, 313 players under six feet tall, and 360 players weighing over 300 pounds. Chicago has 12 players weighing less than 200 pounds, the most of any team in that category. Tampa Bay has the most players under six-feet tall with 14. The New York Jets have 15 players weighing over 300 pounds, the most in the league. UNDER 200 LBS. UNDER 6-FEET OVER 300 LBS. At this point in the season, we start to see the strength of the teams and how they fair against each other in region play. At the top is Roswell, who is 5 – 0 and ranked 3rd overall AAAAAA in the Maxwell Rankings. Having beat Walton last week, Roswell has a balanced attack with both their passing and running from QB Quintarious Neely (a Lovejoy transfer) and Sheldon Evans a running back that transferred in from Walton a few years back. Walton and Etowah are both 5 -1 and they both face regional opponents with Etowah at Milton and Walton at Pope this week. Rounding out the rest of Region 5 AAAAAA is Lassiter, who is 3 – 3 and coming off a 4rth quarter, last minute drive by Senior QB Cooper Cross #18 (who came off the bench to lead his team to the victory). Lassiter started the season strong, by beating Hillgrove and local rival Kell. In their game last week at Woodstock, the team showed “heart” utilizing receivers Cole Taylor #85, Dawson Brown #3 and Clark Kent #88 to put together just enough offense to get Mitchell Wasson #16 close enough for a field goal to pull ahead with under a minute left. Lassiter coach, Jep Irwin has a talented team and has a week off before playing Etowah on 10/16/15.